This tasty little plant is usually found near water. 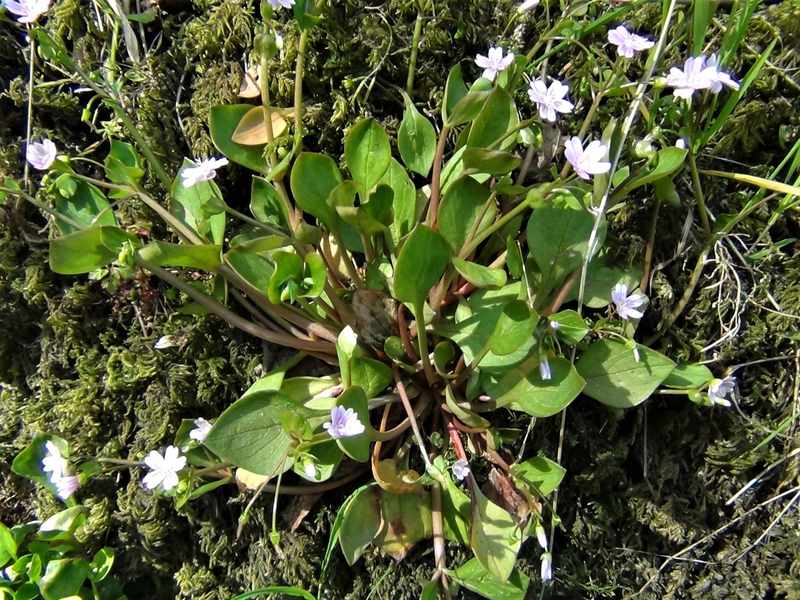 A succulent and tasty plant with an almost beetroot like earthy flavour. 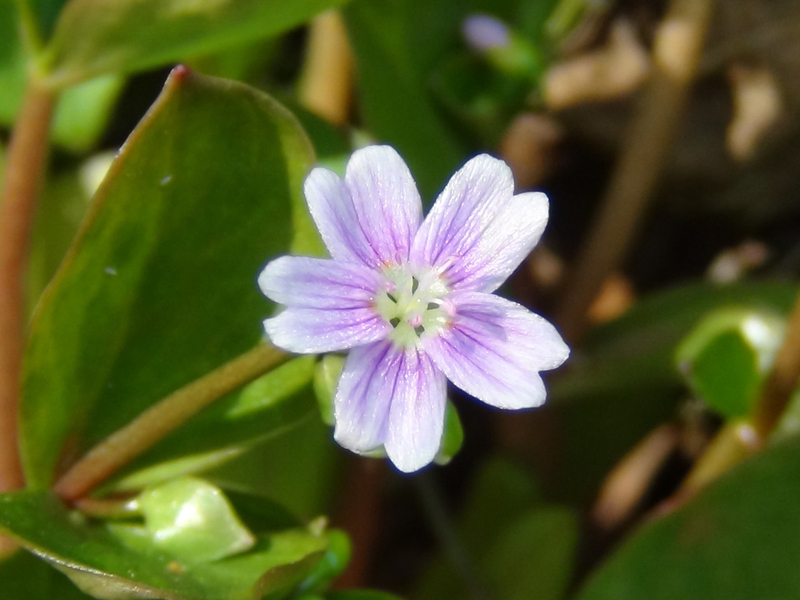 Very Broadly ovate rather like an ace of clubs, glossy. 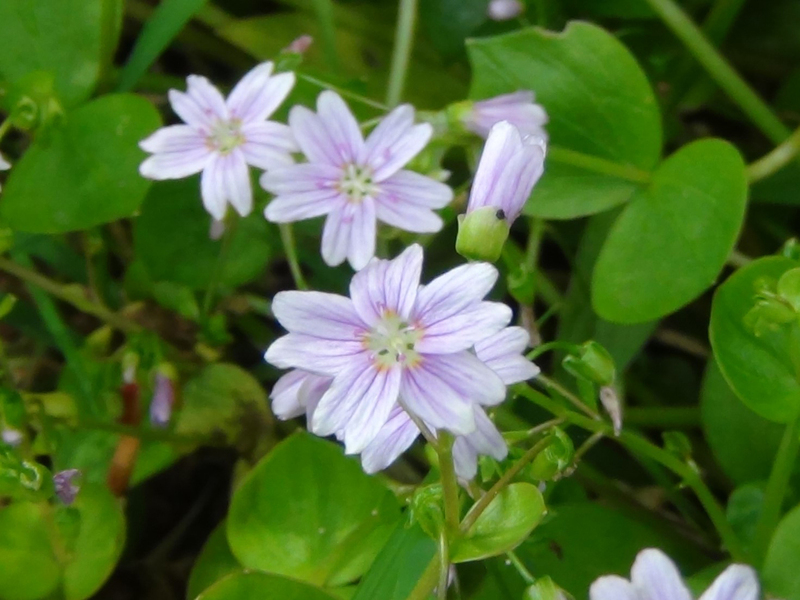 Has pink or sometimes white flowers with five petals with a shallow split in each a little like the flowers of the Stellaria family. 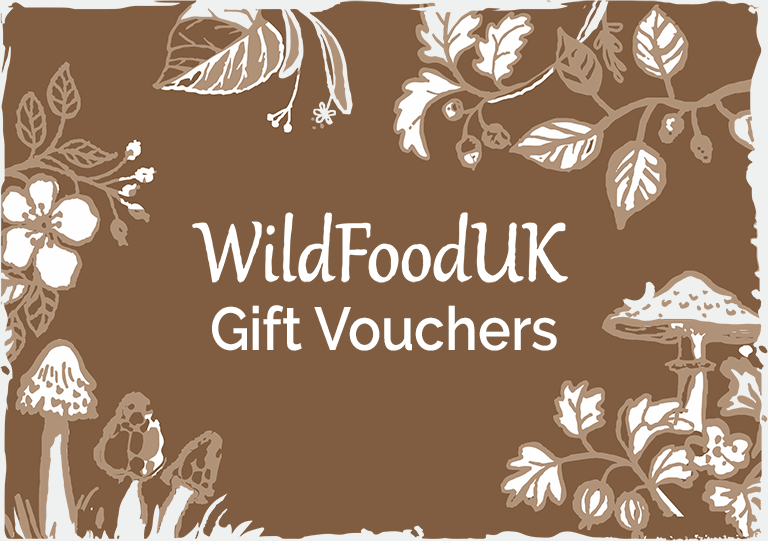 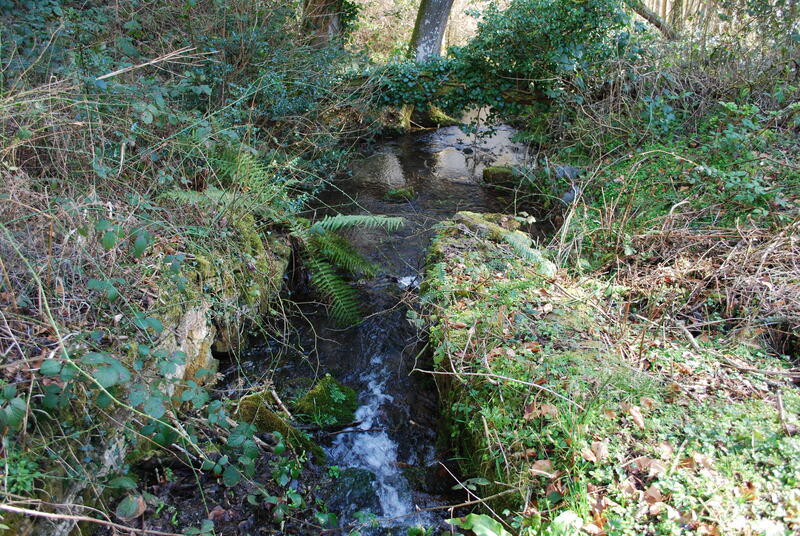 Damp woodland usually fairly close to water. 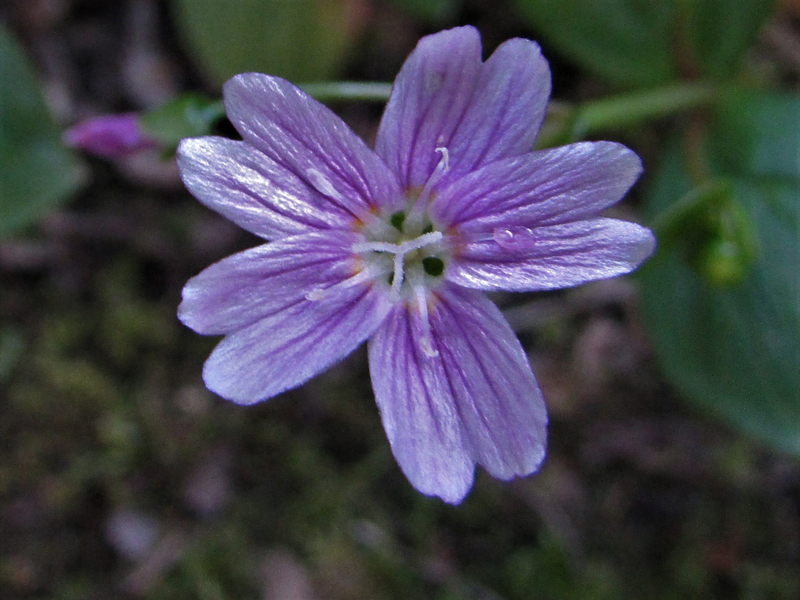 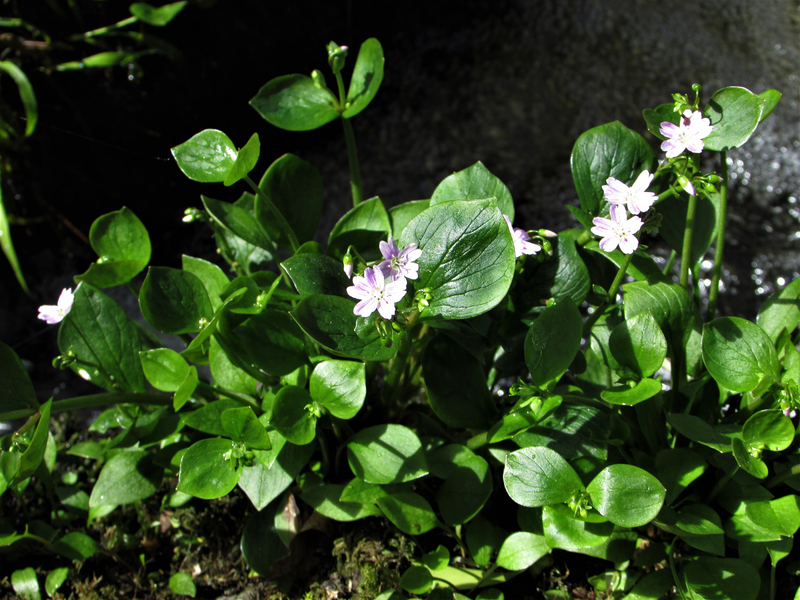 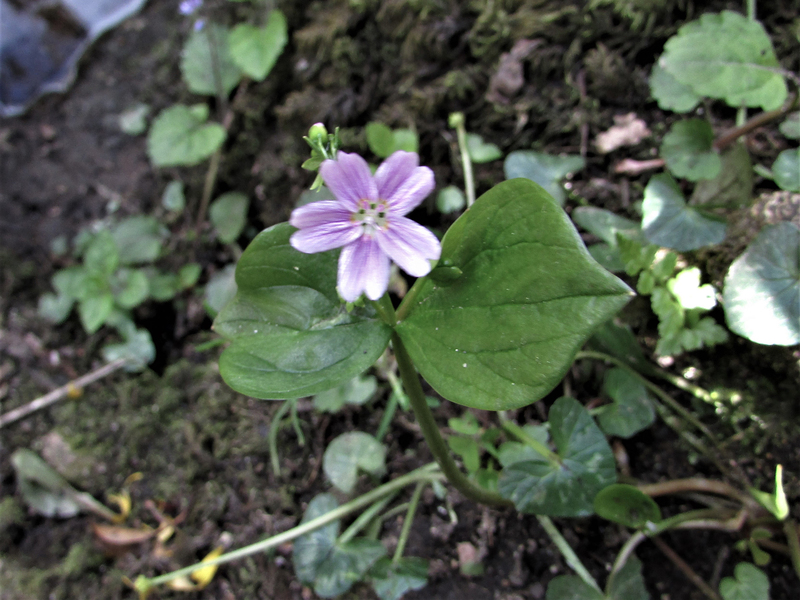 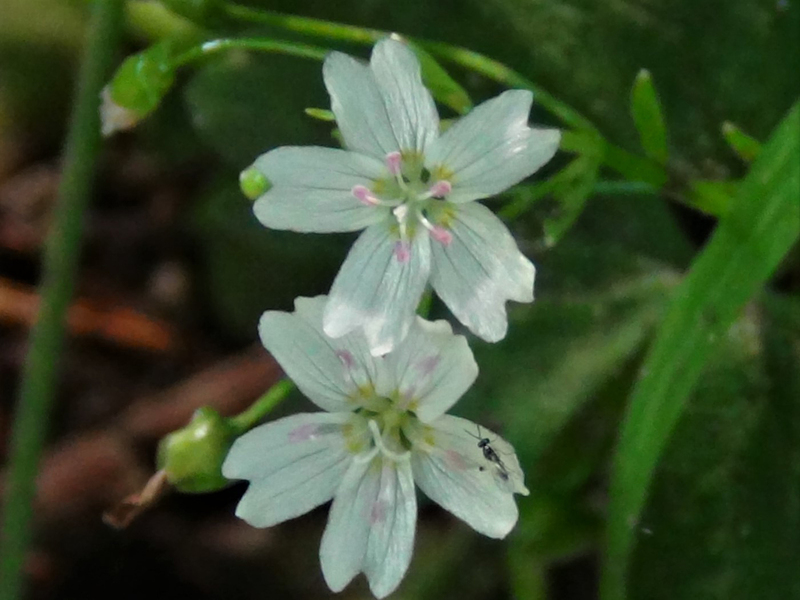 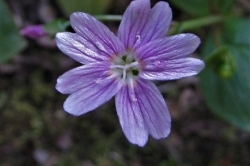 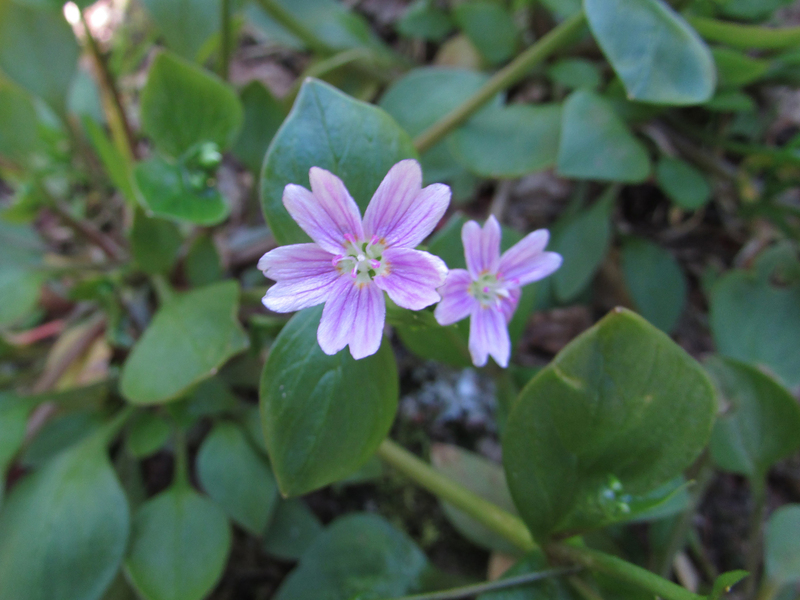 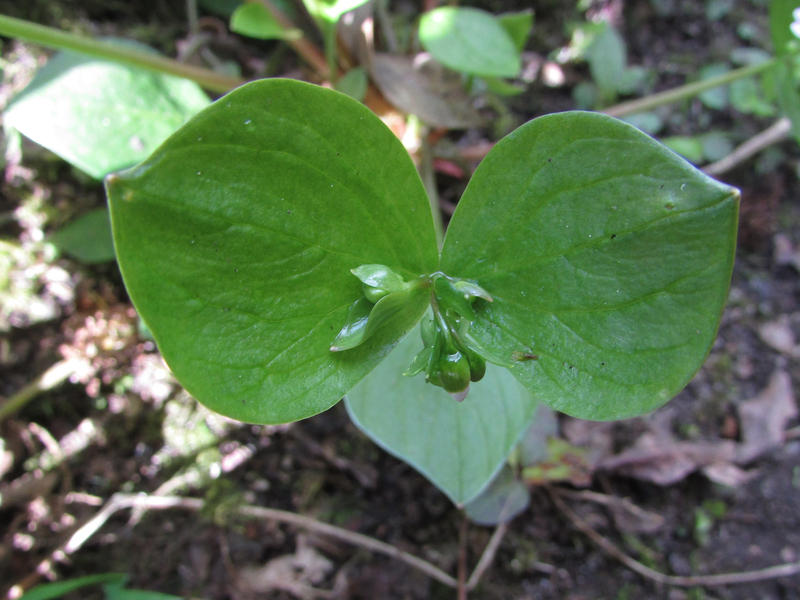 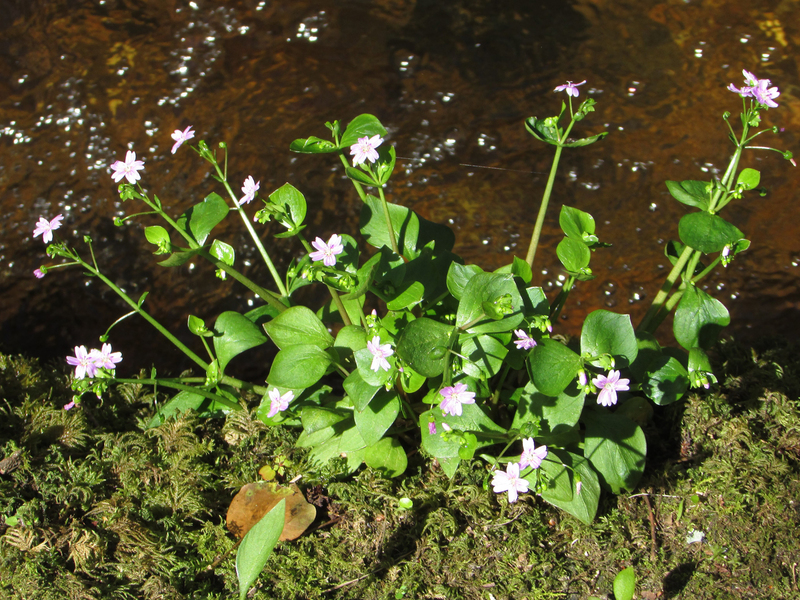 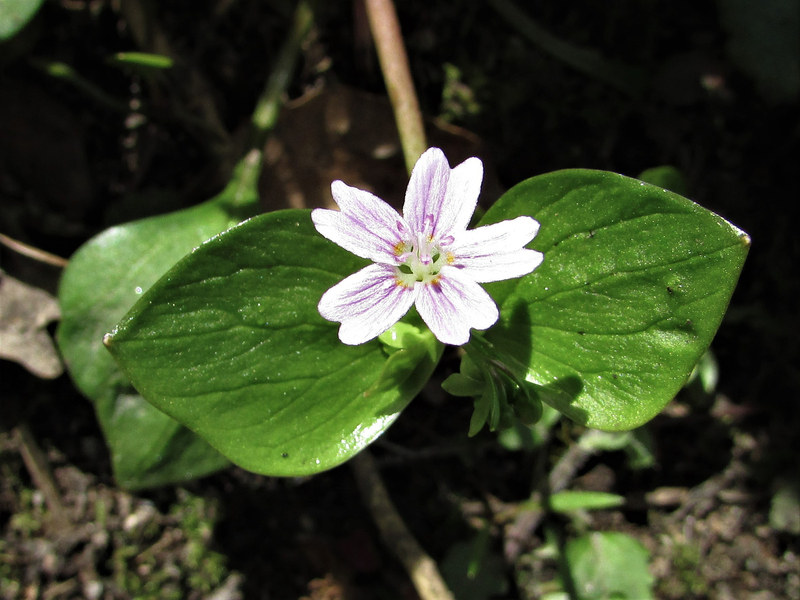 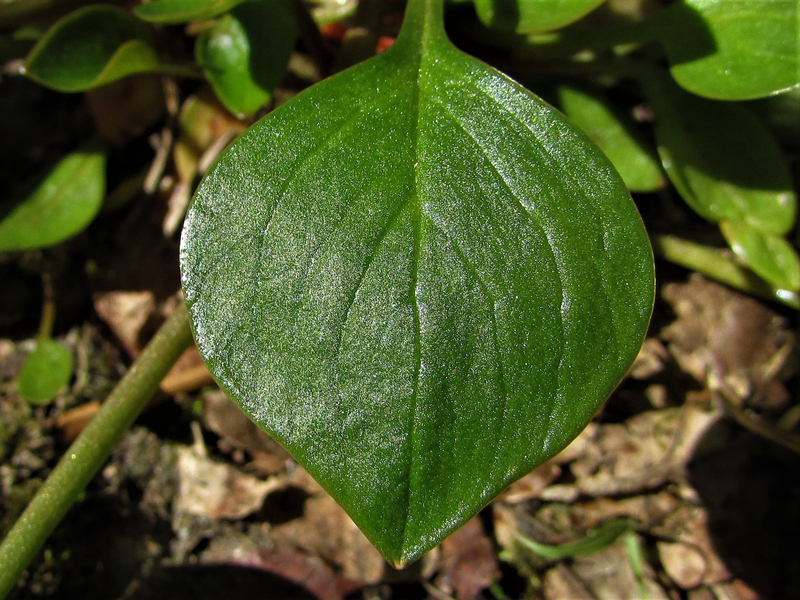 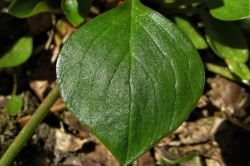 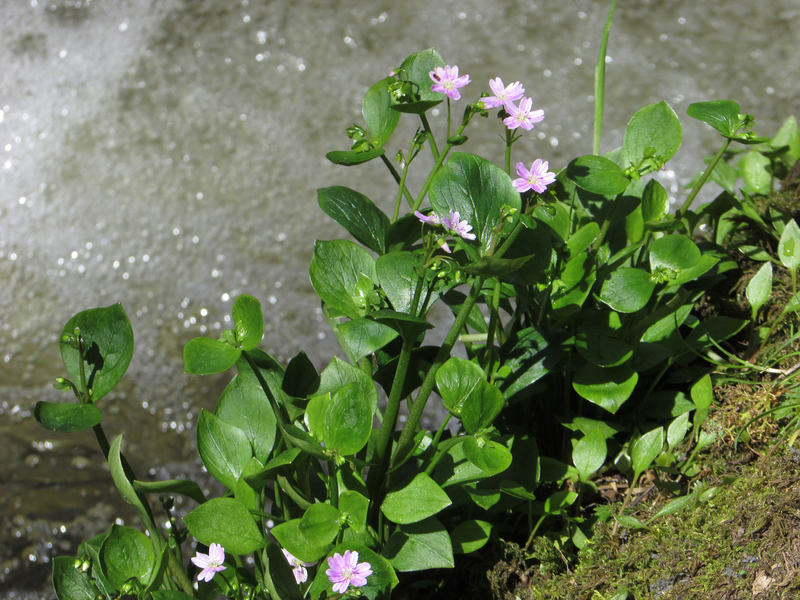 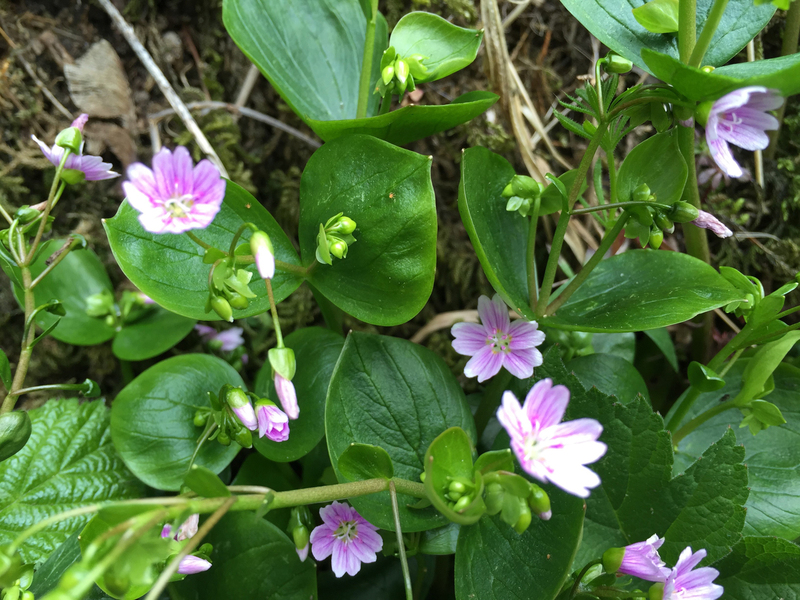 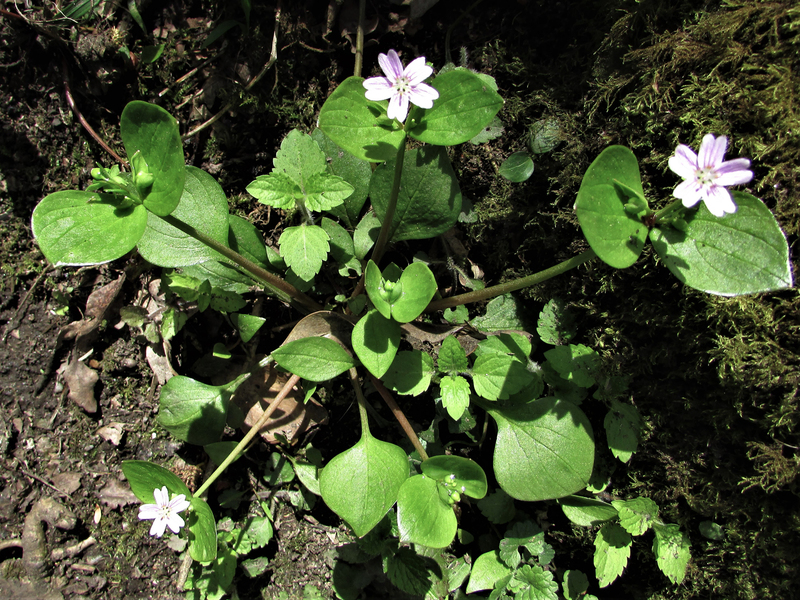 A distinctive looking plant with vague similarities to chickweed. 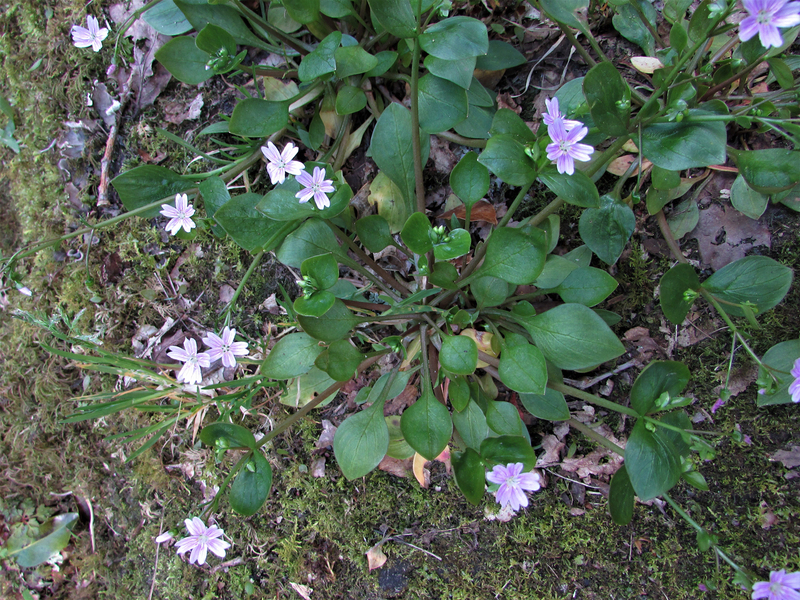 Succulent and earthy, almost beetroot like. 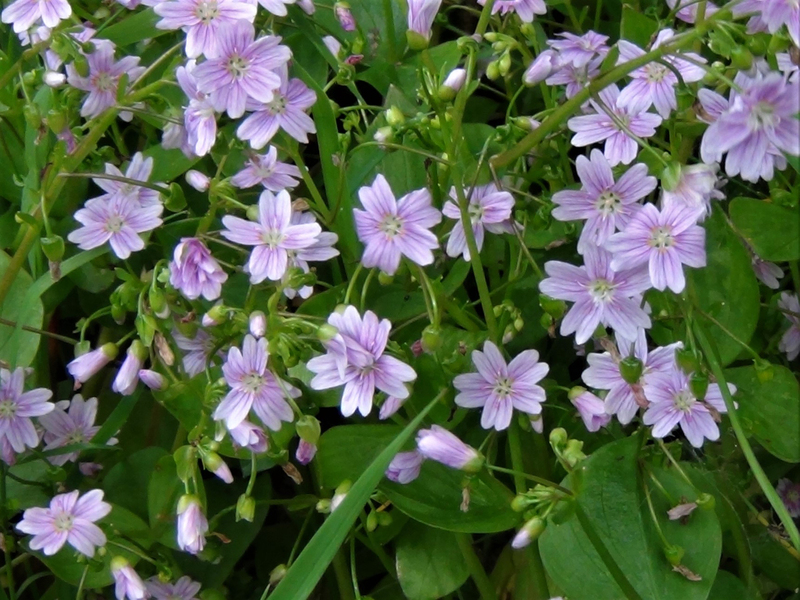 The tops and flowers are the best parts of the plant, the lower parts can be quite stringy.